Georgie, 15, swam in the multi-classification 100m breaststroke heat and final. This meant she was against swimmers in different classes and of all ages. 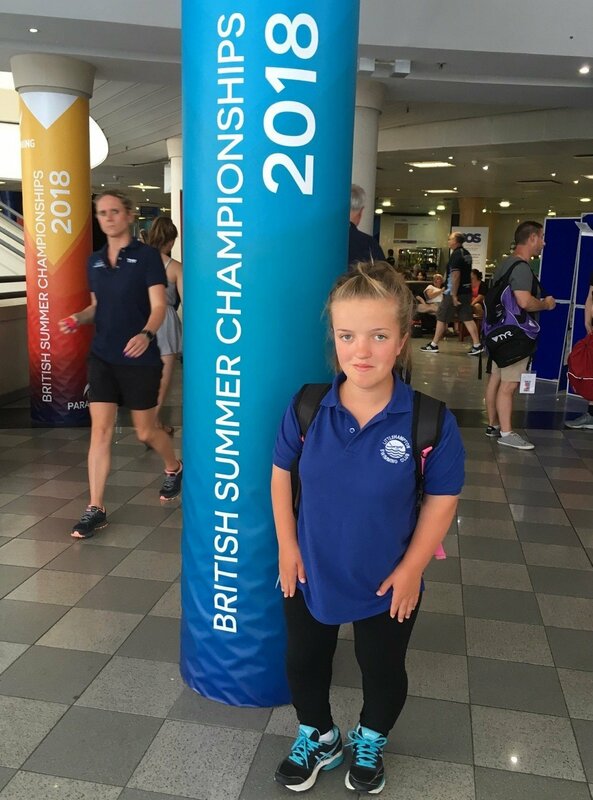 In order to get an invitation to the British Championships as a multi-classification (MC) swimmer you had to have achieved more than 600 British Disability Points in a long course event. Going into the 100 breast we knew Georgie was on the back-foot having 668 pts, compared to the other competitors having over 800 pts. The aim was therefore to improve on her performance at the Para-International two months ago – which she did, by almost two seconds in fact, finishing 5th! Fantastic Georgie! Calvin, 14, trains with and swims for Millfield School in Somerset, training with us when home for the holidays. He has had a very successful week swimming in 7 events and making finals in 4 of these. Just to be invited he had to be in the top 24 in his age group in Britain. Calvin finished 4th in the 50 back and 200 IM finals; 5th in the 100 free and 100 fly finals. Each final he swam he managed to improve on both his time and his position – excellent! Next week is the Swim England Summer Nationals. We have four MC swimmers competing: Georgie Howell, Caleb Grace, Joe Greaves and Marcus Harvey. We have swimmers racing every day. Looking forward to some very exciting racing and I am sure several finals!